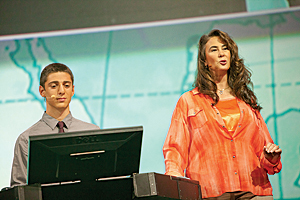 During the Plenary Session at the 2014 Esri User Conference, Dominique Evans-Bye, a science teacher at Clark Magnet High School, and her student Yeprem Chavdarian described how students are using ArcGIS. Esri is helping more students use ArcGIS Online to learn about STEM (science, technology, engineering, and mathematics) subjects and become geospatially aware through free school subscriptions and support for curriculum development. Problem solving, critical thinking, data analysis, communication, and collaboration are hallmarks of GIS professionals. These are also proficiencies sought by employers everywhere. Introducing ArcGIS Online can help students build these skills and get a head start preparing for careers. Map-based classroom activities and service learning projects also foster collaboration between students. Schools like Clark Magnet High School in La Crescenta, California, have discovered that ArcGIS Online enhances STEM subject education. The achievements of Clark Magnet High School were highlighted during the Plenary Session of the 2014 Esri Education GIS Conference. 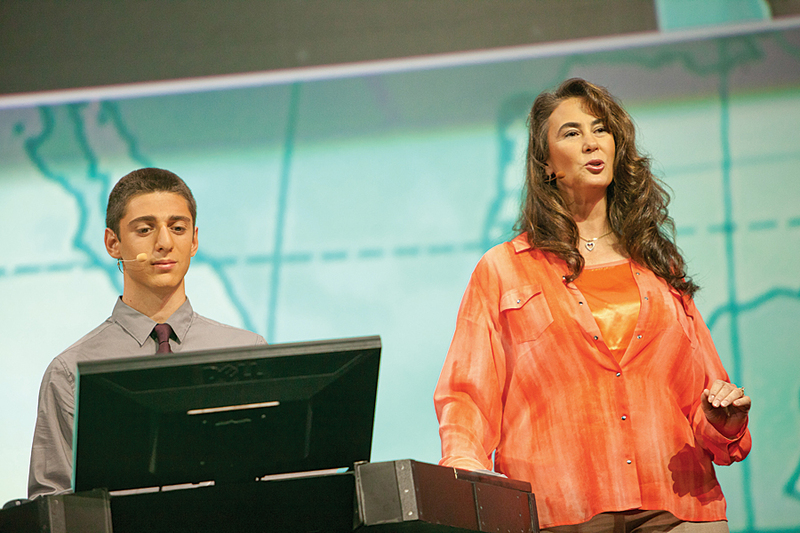 Dominique Evans-Bye, a science teacher at Clark Magnet High School, and her student Yeprem Chavdarian described how he and fellow students have used ArcGIS Online and ArcGIS for Desktop for projects. In one project, students analyzed organic and inorganic contamination in California's spiny lobster and mapped their results. They won the grand prize in the Lexus Eco Challenge and received more than $70,000 in student scholarships and grants to their school. During this year's White House Science Fair, which celebrates student winners of STEM competitions, Esri president Jack Dangermond announced Esri's offer of a free ArcGIS Online account to every one of the roughly 115,000 elementary, middle, and high schools in the United States. This offer, valued at $1 billion, was made to support President Barack Obama's ConnectED initiative to provide K–12 students with more digital learning opportunities. 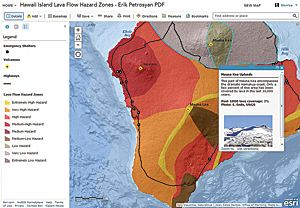 This web map showing lava flow hazard zones on Hawaii Island was created by Clark Magnet High School student Erik Petrosyan. To increase the impact of this gift, Esri has created resources that help educators take advantage of ArcGIS Online organizational accounts. Because ArcGIS Online is cloud based, students can use it on computers at school, tablets at home, and smartphones on the go—anywhere they can connect to the Internet. This donation is part of an ongoing commitment to K–12 education that has spanned more than 20 years during which Esri has offered special educational licenses to schools, districts, and states; held the Esri Education GIS Conference; conducted numerous classroom and conference presentations; and held educator institutes. In July 2014, Esri's assistance to students was expanded through the signing of a memorandum of understanding (MOU) with European Schoolnet, an organization that works with multiple ministries of education to bring innovation to teaching and learning throughout Europe. During the three years the MOU is in effect, Esri will advise the European Schoolnet team members on the use of ArcGIS Online and help them develop a series of related lesson plans. ArcGIS Online will be implemented in European Schoolnet's Future Classroom Lab, a state-of-the-art project that supports changing styles and learning. "The cloud-based capabilities of ArcGIS Online align very well with the other technologies we are using in the Future Classroom Lab," said Benjamin Hertz, project coordinator for European Schoolnet. 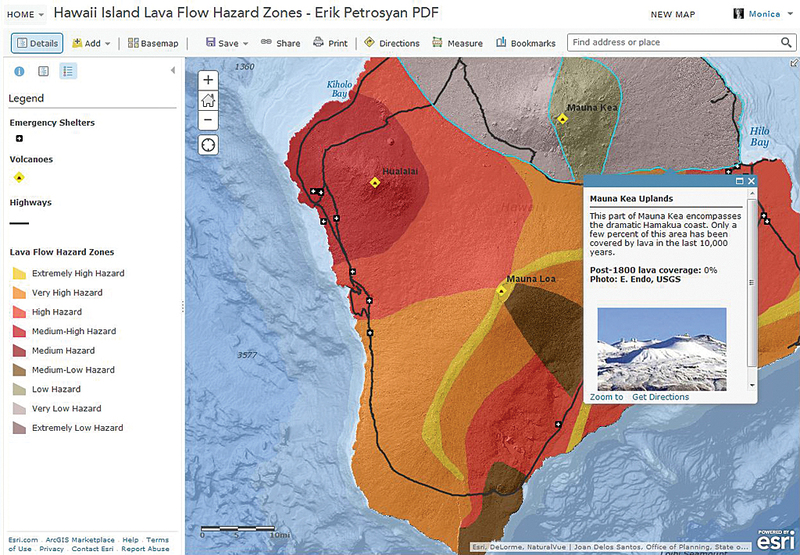 "Lessons with ArcGIS Online bring STEM education to a higher level."